The following graphic and quote was found at Happy Saints. Wishing everyone a blessed Pentecost Sunday. May the Holy Spirit be with you! Blessings to you as well Tracy, wishing you a heartfelt Pentecost. May the Holy Spirit be in your heart! I found the same graphic and posted it on my blog too! It's so cute! 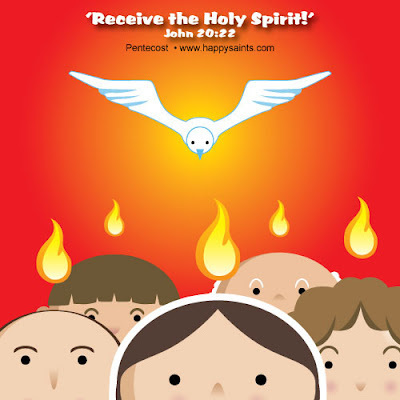 Pentecost blessings to you and your family!